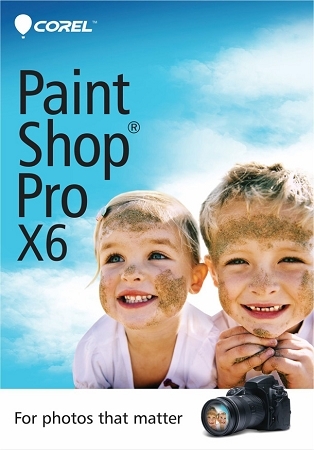 Corel PaintShop Pro X6: Corel PaintShop Pro X6 provides all of the photo editing and creative design tools you need. Manage, adjust and edit your work with a few simple clicks. Create stunning photos with intense visual contrast using new and enhanced HDR features—including the new ability to create HDR-style effects from single RAW photos. Organize your photos and tag people and places using the new Find People and Map View features. Get inspired with creative brush and vector tools, including new text and layer options. Hone your skills with built-in tutorials and use new social media integration to instantly share your creative vision on Facebook, Flickr and Google+.